The Detroit Skating Club is excited to announce the 15th annual ice show, “Crystal Anniversary, 15 Years of Talent,” to be performed June 5-8 at the Detroit Skating Club in Bloomfield Hills, Mich. The spectacular show will include skaters of all disciplines, from the littlest tot all the way to top international competitors. Skaters of all levels will perform singles, ice dance, pairs and synchronized skating in solo, group and feature performances. Guest skaters will include 2014 Olympic silver medalist Patrick Chan, 2014 World Team member Elladj Balde, 2014 World Team members Alexandra Aldridge and Daniel Eaton, two-time U.S. champion Alissa Czisny, 2014 World Junior champions Kaitlin Hawayek and Jean-Luc Baker and four-time Greek champion Georgia Glastris. Guest skaters will only be featured at select performances. Thursday, June 5: 7 p.m.
Friday, June 6: 7 p.m.
Saturday, June 7: 1 p.m. and 7 p.m.
Sunday, June 8: 2 p.m.
Tickets are on sale now and may be purchased for $17 to $27 at www.dscclub.com. The number 13 has earned some negative connotations over the years, a reputation even 1984 Olympic champion Scott Hamilton can admit. So nice in fact, that it seems to be the underlying theme of Hamilton’s 13th annual show, “An Evening with Scott Hamilton & Friends,” at which all 13 U.S. Olympic champions are expected to attend, together in the same room, for the very first time. The show’s proceeds will benefit the Cleveland Clinic’s Taussig Cancer Institute, where Hamilton won his own battle with testicular cancer in 1997, and Scott Hamilton’s CARES (Cancer Alliance for Research, Education and Survivorship) Initiative, which Hamilton founded 13 years ago, in 1999. At least thirteen U.S., World and Olympic medalists are expected to perform, including reigning U.S. champions Ashley Wagner and Jeremy Abbott, along with Alissa Czisny, Rockne Brubaker and Ryan Bradley. The evening will also feature a performance by five-time Grammy award winning artist Wynonna Judd, who has sold more than 10 million albums in her three decade career. Hamilton’s CARES Initiative strives to further the war on cancer by empowering patients and their families via education and guidance, and support those affected by the disease through the 4th Angel Mentoring Program, which offers free, one-on-one, confidential outreach and support from mentors who have successfully made the journey from diagnosis to recovery. The CARES Initiative also informs patients through Chemocare.com, a website is designed to provide the latest information and answers to questions about chemotherapy to patients and their families, caregivers and friends. In addition to patient support, the CARES Initiative’s vision is to promote and support world class research that might ultimately lead to a cure for cancer. The show, held annually at Quicken Loans Arena in Cleveland, is set to take place Sat. Nov. 3 at 5 p.m., followed by a gala benefit at Cleveland’s Renaissance Hotel ballroom. Tickets are available at theqarena.com and 1-800-332-2287 or 216-420-2200. Tickets to the gala benefit dinner are available by calling Liz Lindecke, Taussig Cancer Institute, Cleveland Clinic at 216- 445-0099. For more information on The Scott Hamilton CARES Initiative call the CARES hotline at 216-445-2573 or visit scottcares.org. U.S. 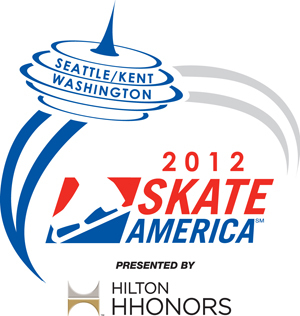 Figure Skating has announced that 2012 Hilton HHonors Skate America will be held on October 19-21 at the ShoWare Center in Kent, Washington (Seattle). The list of athlete entries for the 2012 ISU Grand Prix of Figure Skating Series, including Skate America, will be announced on May 21, 2012. Friday, Oct. 19: Pairs short, Men’s short 7 p.m.
Saturday, Oct. 20: Ladies short, Short dance 12:30 p.m., Men’s free, Pairs free 7 p.m.
Sunday, Oct. 21: Free dance, Ladies free 11:45 a.m., Skating Spectacular (exhibition) 6 p.m.
NBC Sports will broadcast coverage of the 2012 ISU Grand Prix of Figure Skating Series throughout the fall, including a live afternoon broadcast from 2012 Hilton HHonors Skate America. Live and on-demand streaming of the event will also be available with details to be released later this summer. Skate America is an Olympic-style international figure skating competition held since 1979 that will feature three days of competition featuring 52 world-class figure skaters in ladies, men’s, pairs and ice dancing. Skate America is one of the six events that makes up the ISU Grand Prix of Figure Skating. Skate America champions include five-time World champion and two-time Olympic medalist Michelle Kwan and Olympic champions Kristi Yamaguchi, Scott Hamilton, Brian Boitano and Evan Lysacek. The Grand Prix Series, now in its 18th season, consists of six international events in a cumulative point-scoring format. Approximately 300 athletes from 30 countries are expected to participate. Each athlete is eligible to score points in two of the six scheduled events. The top six point-earners in each discipline qualify for the ISU Grand Prix of Figure Skating Final Dec. 6-9, in Sochi, Russia, home of the 2014 Olympic Winter Games. Athletes will compete for a total of more than $1.35 million in prize money throughout the series. Skate America was accepted into the Grand Prix Series in 1995, when the series was developed. Last year, 2011 Hilton HHonors Skate America took place from Oct. 21-23 at Citizens Business Bank Arena in Ontario, Calif. The event featured future 2012 World champions Carolina Kostner and Aliona Savchenko & Robin Szolkowy. Team USA earned two of the four gold medals as 2012 U.S. silver medalist Alissa Czisny claimed the ladies crown by .13 points ahead of Kostner and 2012 World silver medalists Meryl Davis and Charlie White earned ice dancing gold by nearly 22 points. 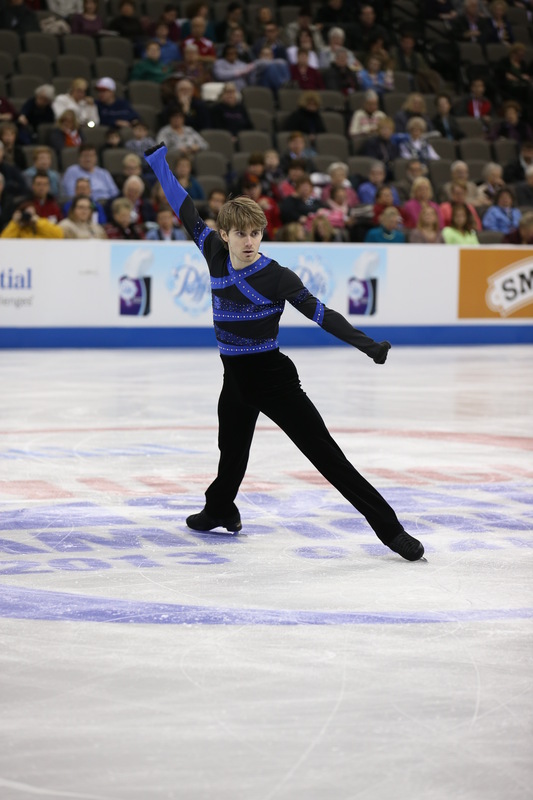 The top U.S. male was Richard Dornbush who finished in fourth place behind Michal Brezina and the top U.S. pair was Caydee Denney and John Coughlin who finished in fourth behind Savchenko and Szolkowy. That’s a wrap from Nice! The final gold medal of the week belongs to Italy’s Carolina Kostner. She earned her first World title, and fourth overall World medal, with 189.94 points. Silver went to Alena Leonova of Russia, the short program winner, and bronze to Japan’s Akiko Suzuki. Ashley Wagner, who finished fourth, gave the crowd something to cheer about with Black Swan free skate. She received 120.35 points for the segment and totaled 176.77 for the week. Wagner, smiling from ear to ear after the performance, acknowledged the fans’ support. Alissa Czisny finished 22nd with 124.11 points. In the men’s event, Canada’s Patrick Chan repeated as World champion, totaling 266.11 points. The raucus crowd was treated to riveting performances, including those from Japan’s Daisuke Takahashi and Yuzuru Hanyu, who won silver and bronze, respectively. For the first time in history, Japan won two World medals. The host nation was well represented with Brian Joubert placing fourth and Florent Amodio, fifth. For Team USA, Jeremy Abbott fought back in his free skate after Friday’s short program. He earned 151.34 points for the free skate and 226.19 overall. He finished eighth. After the skate, Abbott noted that he was skating today to make himself proud. Adam Rippon, in his second World Championships, placed 13th with a total score of 216.63 points. Like Abbott, he was more pleased with his performance in the free skate than in the short program. Team USA will next be in action at the 2012 ISU World Team Trophy set for April 19-22 in Tokyo. Look for more details later this week. Hello again! The second medals of the week were awarded following tonight’s pairs free skate. Germany’s Aliona Savchenko & Robin Szolkowy became back-to-back World champions after netting 201.49 points overall. They edged silver medalists Tatiana Volosozhar & Maxim Trankov of Russia by 0.11 points. The Russian team climbed up from eighth place after the short program to earn silver. Bronze belongs to Japan’s Narumi Takahashi & Mervin Tran. Caydee Denney & John Coughlin, in his words, “answered the bell” after the enthusiastic crowd rose to its feet for the Chinese team of Wenjing Sui & Cong Han, who skated immediately before the Americans. Denney & Coughlin, who have skated together since last May, earned 180.37 points overall and placed eighth. Mary Beth Marley & Rockne Brubaker totaled 170.90 points in their first Worlds together, including 111.28 for the free skate, to finish 10th. The program was clean with the exception of a Marley fall on the side by side double Axels. Afterward, Marley discussed the excitement of skating on the World stage. Earlier today, everyone at the Palais was excited for the final short programs of the week with the men’s field taking the ice. Canada’s Patrick Chan, the reigning World champion, leads by a short margin with 89.41 points. He has less than two points over Michal Brezina of the Czech Republic, while the top five are separated by less than eight. For Team USA, Jeremy Abbott suffered a fall on his opening combination. He scored 74.85 points and is in ninth position. Though disappointed in the mistakes, he strived to put on a good performance for the crowd. Adam Rippon rounded out the third of five groups. He earned 73.55 points and sits in 10th place. Despite stepping out of his Axel and Lutz, Rippon feels prepared for the competition and ready for tomorrow’s free skate. The men’s free skate begins at 6:55 a.m. Starting orders will be determined after Friday’s short program. The event’s finale features the ladies free skate at 12:30 p.m. Russia’s Alena Leonova, the national bronze medalist, leads the event. Currently in eighth place, Ashley Wagner is less than five points from bronze-medal position.